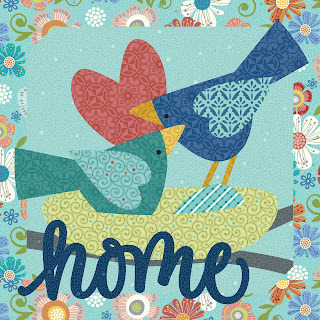 Today we're featuring Nancy Halvorsen's applique "Home" block using her Home Grown collection. 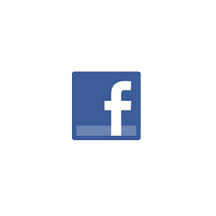 Click here to download the templates. 1. Trace all templates onto the paper side of fusible web. Cut out loosely around each shape and fuse to the wrong side of the indicated fabric. Cut out on the drawn lines. 2. 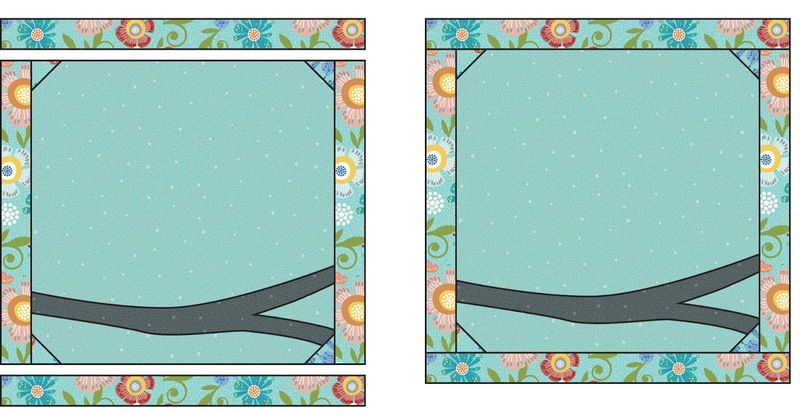 Fuse the branch onto the 10-1/2” Circle Dot Aqua square. 3. 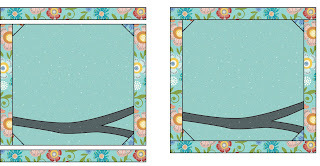 Draw a diagonal line on the wrong side of (4) 1-1/2” Aqua Floral squares. 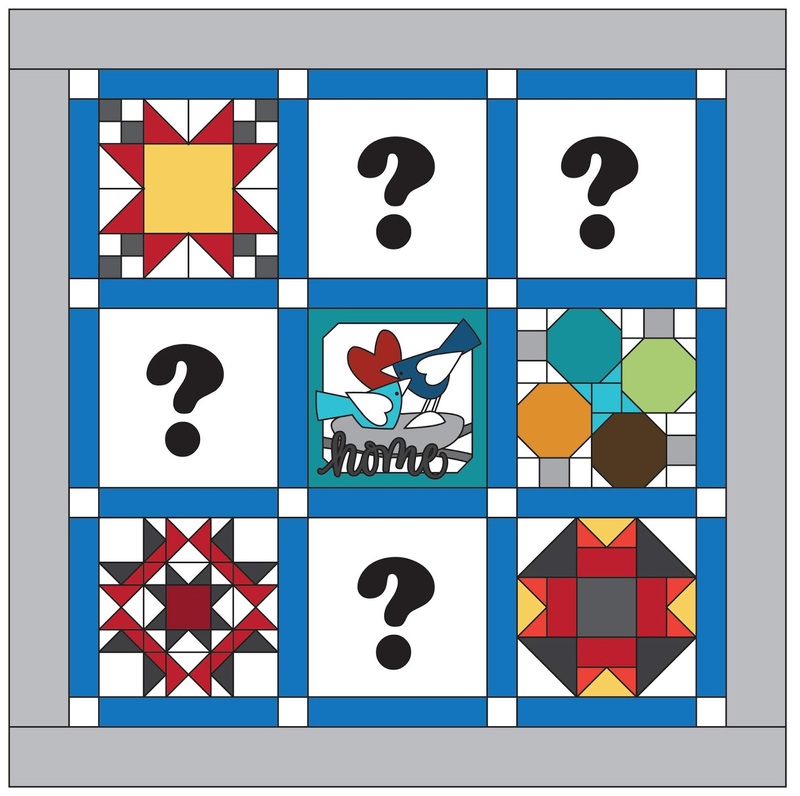 Place a marked square on each corner, sew on the drawn line, and trim seam allowance to ¼”. Press corners open. 4. Sew 1-1/2” x 10-1/2” Aqua Floral strips to opposite sides of the square. Sew 1-1/2” x 12-1/2” Aqua Floral strips to the top and bottom. 5. 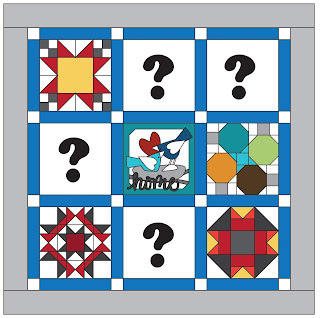 Referring to the block image, fuse the remaining shapes to the quilt block. 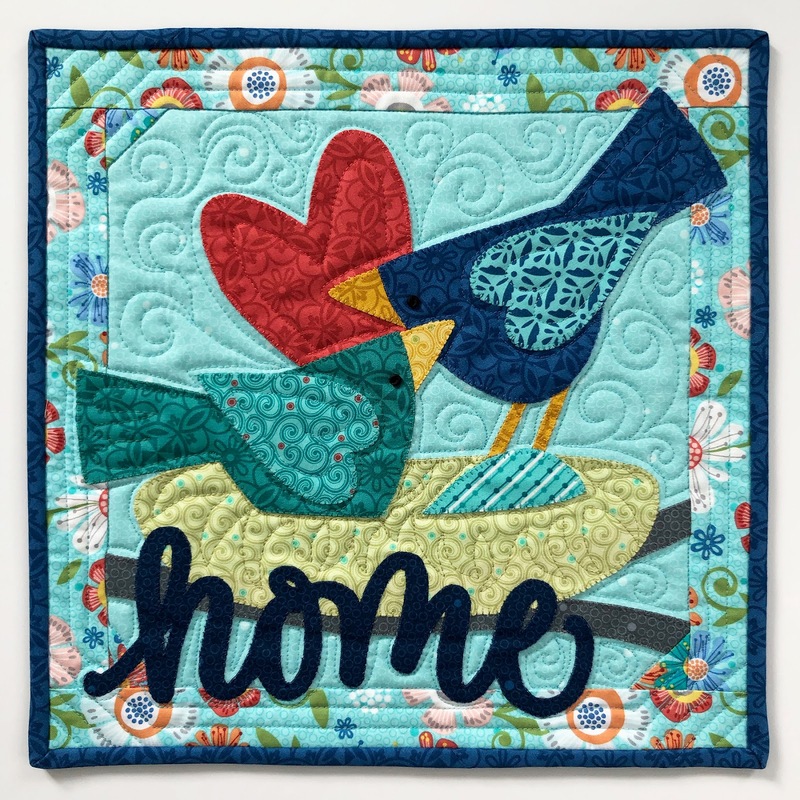 Use a decorative stitch to secure shapes in place. Add a button or French knot for bird eyes. Nancy finished her block into a small wall hanging. isn't it sweet? very very cute block !